Oro Lenca began with a group of young people in La Esperanza who wanted to work to revive and preserve the artistic traditions of the country. In the years after that humble beginning, Oro Lenca has become an icon and beacon of Honduran folklore. El Ballet Folklórico Oro Lenca was founded on December 18, 2008 by a group of young people in La Esperanza. Their goal was to join the task of rescuing and reviving traditional cultural values through dance and folk music. With the accumulated experience, with the support of former dancers of these groups, and with the support of the Mayor of La Esperanza at the time (Dr. Miguel Antonio Fajardo), Johann Serene decided to start the new group of folk dance in La Esperanza, named initially, El Ballet Folklórico Oro Lenca. 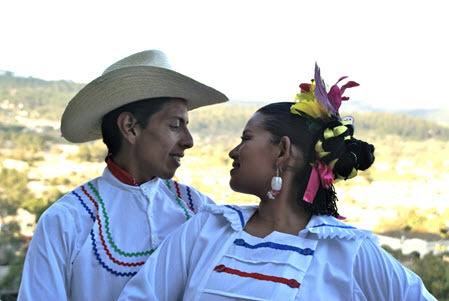 Ballet Folklórico Oro Lenca initially consisted of 10 couples. 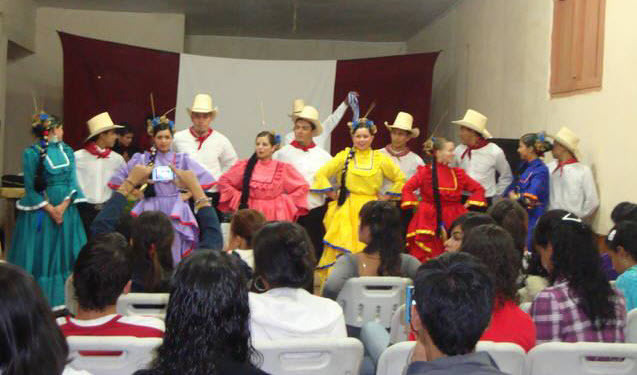 The new group had its first dance presentation at the Casa de Cultura de La Esperanza on the first of May in 2009. With the public acceptance in this performance, the group went on to make its national debut on June 21st of the same year in the industrial capital of San Pedro Sula at the Juniana Fair. This debut was supported by Prof. Vicente Reyes, who showed interest in Oro Lenca and was one of its original sponsors. 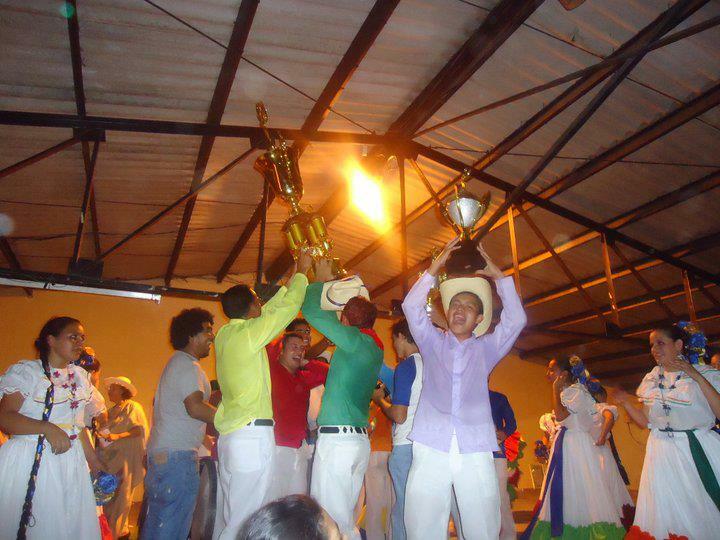 On May 14, 2011 Oro Lenca was crowned national champion at the Gran Pereke, at that time the oldest and most renowned national folklore festival in Honduras in the city of San Pedro Sula. The group obtained a qualification of excellence with a rating of 100% of the jury. In other competitions, they have won high-level prizes in the non-scholastic category of dancers. They gained experience in many cities in Honduras, including Tegucigalpa, San Pedro Sula, La Ceiba, Santa Cruz de Yojoa, Peña Blanca, Cortéz, La Paz, Comayagua, Siguatepeque, Santa Rosa de Copán, Gracias, Lempira y Choluteca. 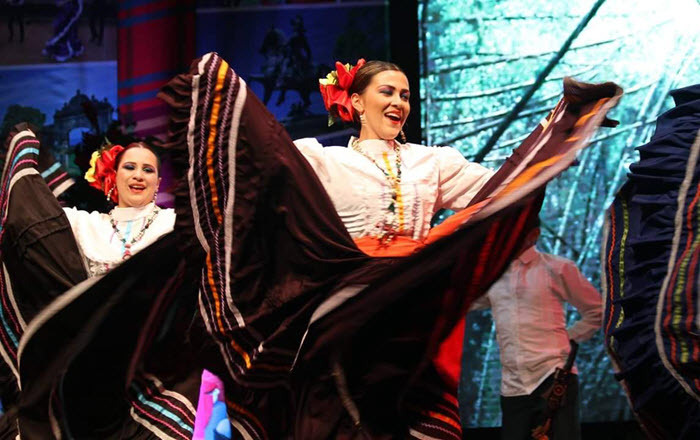 During its first five years, Ballet Folklórico Oro Lenca matured from the initial meeting of like-minded young people in the living room of a house to become an emblematic group representing the folklore of Honduras at national and international level. The members of the Ballet Folklórico Oro Lenca perform on stages and in communities throughout the national territory of Honduras. The Ballet Folklórico Oro Lenca dances in many different settings, before the villagers in the parks and squares of the communities, as well as in the most prestigious environments before notable personalities from politics, commerce, sciences, and the art. Through eight generations of dancers, Oro Lenca has nurtured the artistic and personal growth of more than 200 young people in the Department of Intibucá, along with a U.S. international exchange dancer. According to the aim of reviving the traditional culture, Johann Serene and members of the group travel to other cities in the western region of the country and organize workshops and demonstrations for aspiring dancers groups. In 2011, Oro Lenca created a new festival of folk dances, El Grande de Grandes. This annual event, now in its seventh year, attracts more than 50 dance groups composed of over 1,000 dancers from all regions of the country. The event provides an unprecedented gathering for schools and community groups to perform and compete. Competencies are divided into basic, middle, graduate and extracurricular groups, starting with primary students and working through high school and graduates, and ending with students from colleges and community groups. The festival is today one of the most important cultural festivals of the country, gathering in one place the rich folkloric traditions that Honduras has to offer from its different regions. In the year 2013, the Ministry of Culture, Arts and Sports declared by Executive decree Intibucá as the cradle of folklore of the country, and the celebration of the National Folklore Day on the last Saturday of July. This decree was made in the framework of the 2013 edition of El Grande de Grandes, and was dedicated with affection in memory of Rafael Manzanares Aguilar. Rafael Manzanares Aguilar was an native Intibucan who was Director general of the Ministry of Culture and Tourism of Honduras. In that position he created and became the first director of the Cuadro Nacional de Danzas Folklóricas de Honduras. Rafael Manzanares visited communities to document traditional customs. Often referred to as "the father of Honduran folklore", Rafael Manzanares was instrumental in reviving the music, dances and costumes characteristic of popular traditions in Honduras. The 2013 and 2014 editions of El Grande de Grandes were held on that date, but in 2015 it was again moved the last Saturday in October to accommodate the Oro Lenca training and performance schedule. In 2012, 2013 and 2014, the Oro Lenca toured the United States to participate in the celebration of the Honduran Independence Day, "Juntos por Honduras," sponsored by the Honduran Embassy in Washington, D.C. During these tours, the group made presentations in Maryland, Virginia, New York, New Jersey, Delaware and Pennsylvania in settings such as the Inter-American Development Bank, the Organization of American States, the Smithsonian Museum of the American Indian and the Joint Military Base Andrews. In all three tours, the group performed in community locations including churches, schools, and street festivals, and was presented Honduran dance to the inmates at Prince Georges Detention Center in Maryland in celebration of Spanish American culture. 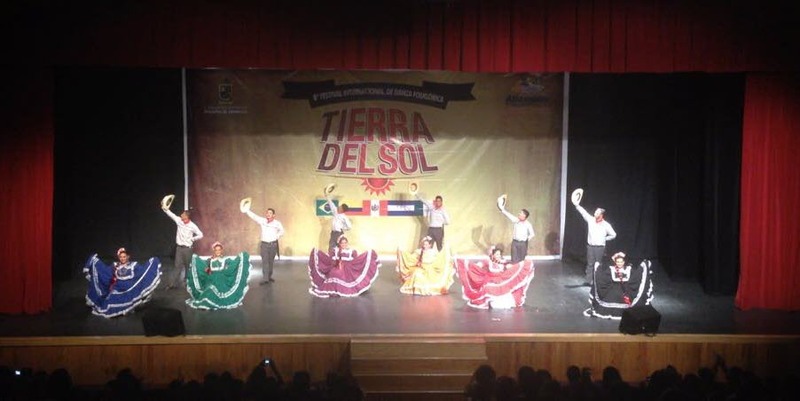 In other countries of the Americas, members of Oro Lenca participated in the 10th International Folklore Festival Puerto of San Antonio, San Antonio, Chile; in Mexico and Nicaragua. The influence of the group extends to the logistical support of Honduran folklore groups founded in the United States and Europe. In particular, the group collaborates with Grupo Folklórico Raíces Hondureñas, a folk dance group in the metropolitan region of DC. The members of this group provide host houses for Oro Lenca during excursions to the region. We have recognized great figures of our national folklore among them, directors, choreographers, compilers and researchers, folklorists, among others. Reciprocally, our director, Johann Serene, received in 2013 the Volunteer of the Year award from the Ministry of Sports, Arts and culture. In this capacity, we are proud ambassadors of our culture to present the joy and the art of our folklore, our dances and our traditions at national and international level. We are heirs of a rich culture with a variety of customs of whom many are not yet aware.